Training is an important part of a young athlete's regimen, but sprints and drills are not the only way to improve performance. Vision therapy, an innovative treatment program designed to improve hand-eye coordination, visual memory and other vision skills, can give young athletes the edge they need to excel. Even athletes who have 20/20 vision can benefit from vision therapy. Therapy sessions focus on improving the way your child's brain and eyes work together. Vision therapy can make it easier to track a ball in the sky, judge distances or see objects or people with peripheral vision. Improve Depth Perception. Poor depth perception makes it more difficult to gauge distances and is one of the reasons that it can be hard to anticipate exactly where a ball will land. Change Focus Quickly. Fast moving sports require the ability to focus clearly on a near object one second and an object in the distance a second later. Athletes who can make the adjustment quickly have a definite advantage. Recognize Which Eye is Dominant. Just as we have a dominant hand, we also have a dominant eye. Identifying which eye is dominant can help your child line up a golf shot more effectively or hit an archery target accurately. Enhance Hand-Eye Coordination. Good hand-eye coordination is essential for catching and throwing balls, hitting a ball with a bat or golf club, or kicking a soccer ball. Make Tracking Objects Easier. The ability to follow an object with your eyes is crucial in many sports. If your child has good tracking skills, he or she will not lose a ball as it travels through the air and will be better able to predict where it will land. See Color Variations and Contrasts. The ability to see variations in color and contrasting areas of light and dark can help your child navigate a ski slope or see a ball clearly in the grass. Improve Visual Memory. Whether you are dribbling a ball down the basketball court or anticipating a pass from the quarterback, it is important to know exactly where other players are in relationship to your position. Vision therapy includes exercises that improve visual memory, making it easier to recall locations of other players and anticipate what they will do next. See Moving Objects Clearly. The faster objects move, the harder it is to see them. 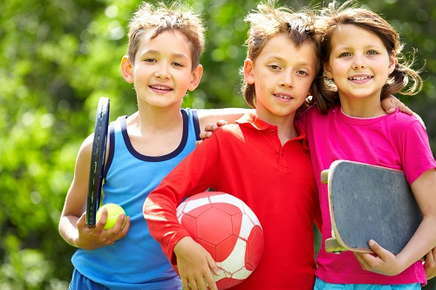 Improving dynamic visual acuity will help your child see balls and other objects clearly at a variety of speeds. What Happens During a Vision Therapy Session? Sessions are tailored to your child's sport and address deficiencies identified during his or her comprehensive vision examination. Treatment involves manual and computer games, prisms, light boards, special lenses and other aids designed to help your child maximize his or her vision. Most children enjoy vision therapy and feel a sense of accomplishment when they improve their performance during sessions. Is your son or daughter a frustrated athlete? Vision therapy can help improve his or her performance and confidence. Call us today to find out how we can help your child finally perform to his or her fullest potential.